If you have ever stayed in a five-star hotel you must already know how lovely it feels to sleep in king size beds, to wake up to inspiring views, to enjoy delightful amenities and white-glove services and to hang around the most sophisticated interior designs. This is exactly the kind of lifestyle Miami offers you and not only for a few days. You can own it. The city hosts a great array of luxury condominiums designed by the most renowned developers and architects fills with the most impressive features and fixtures and absolutely nothing to envy from a five-star resort. Muse Residences is located in the middle of Sunny Isle and it has just two residences per floor, offering both two and three bedroom options. These units are equipped with ground-breaking technology, while the incredible views, stunning kitchens, and marble covered bathrooms will make it hard to leave home. The stunning building offers a breakfast room with overwhelming views of the ocean, a sky garden penthouse, an infinity edge pool and an indulging spa. With 147 residences boasting large floor plans and expansive bay and city views, Bristol tower is considered to be one of Brickell’s most luxurious buildings. The property was developed by Ugo Colombo and it boasts 2,825 sq. ft. of neutral space that’s absolutely flooded with natural light. The tower is nestled on the southern part of Brickell Avenue overlooking Biscayne Bay and it indulges you with a tennis court, a beautiful swimming pool and a gym, among others. 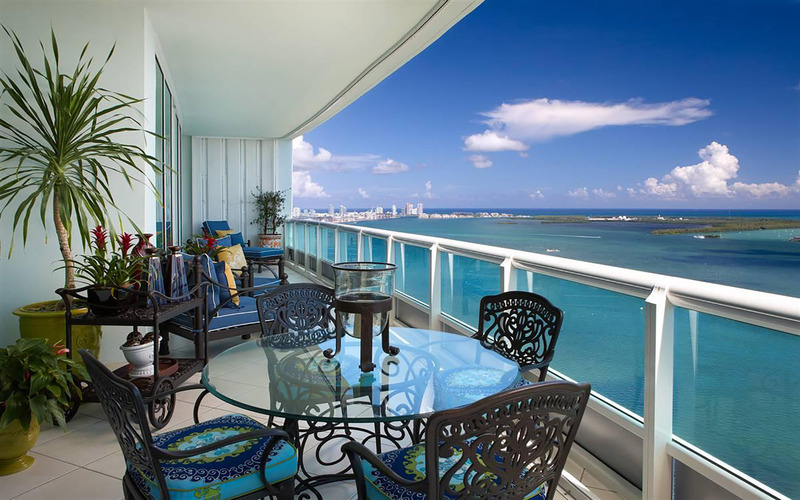 This elite residential condo boasts an attractive s-shape and it rises 40 stories above gorgeous Biscayne Bay. Designed by world-renowned Philippe Starck, the building features 9-foot high ceilings and expansive terraces that maximize the astonishing views of Biscayne Bay and the city skyline. Within the residences you will find European cabinetry, Marble bathroom flooring and appliances by Miele. Two amazing infinity edge pools and short distance from the blue waters of South Beach are just some of the privileges you will enjoy at this stunning condo. La Santa Maria Brickell is a premier waterfront property also on Biscayne Bay. The tower is 51 floors and has 173 units. 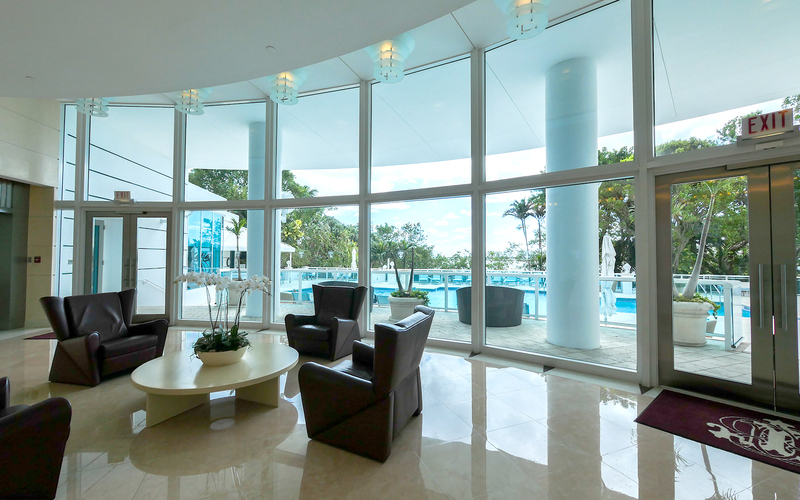 It features amazing views of the Miami skyline through large windows and even glass balconies. Furthermore, the property has tennis and racquetball courts, a pool and Jacuzzi, and a gated entrance to ensure residents’ security. The residences themselves are equally impressive, holding bathrooms adorned with marble, kitchens with top grade appliances, and of course, spacious bedrooms with refined décor. The South of Fifth neighborhood is proud to be enhanced with one of the most spectacular residential developments in South Beach. The lavish complex is composed of two imposing condominium towers which welcome you with a stunning two-story lobby and unmatched white-glove services. Continuum is set on 1,000 feet of white sandy beach and it indulges residents with a full-service Beach Club with beach furniture and cabanas, among others.